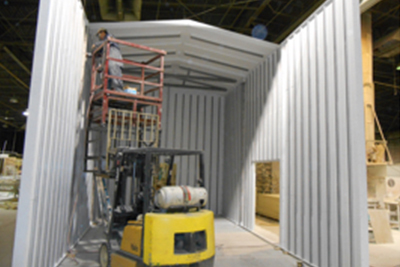 At the Warminster Fiberglass Company, we offer a wide range of shelters for a variety of industrial applications. Using our shelters, you can meet your storage and security needs, and also benefit from their long-term use. 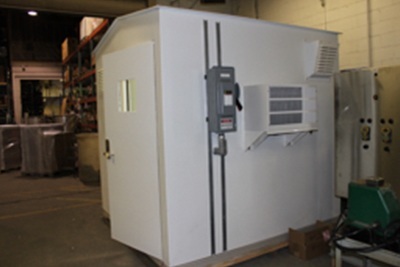 We realize the need for shelters to be versatile and that is why we offer them in a range of sizes. You can order a simple 36” x 27” x 6’9” shelter, all the way up to a 20’ x 60’ x 16’ shelter. Rest assured, we will customize the fabrication of the shelters to suit your needs, ensuring you get great value for your investment and that your requirements are fulfilled completely. A distinct benefit of using our shelters is you don’t have to worry about corrosion. 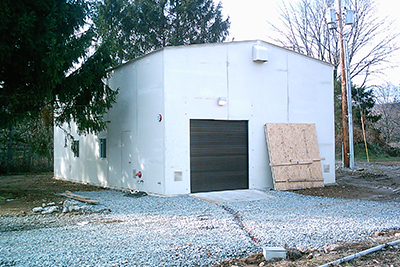 This makes these shelters ideal for water and wastewater treatment facilities. Also, our shelters are of an industrial quality, offering the durability and strength you require for any application. You can get an idea of the sturdiness of our shelters by the fact that they can withstand a snow load of up to 30 lbs per sq. ft, and a wind load of up to 125 mph. Plus, we don’t use any wood when constructing these structures. So, whether you are looking for shelters for chemical storage, lift stations, storing chlorination equipment or firefighting equipment, laboratories, safety showers, or simply as a maintenance building, get in touch with Warminster right away.